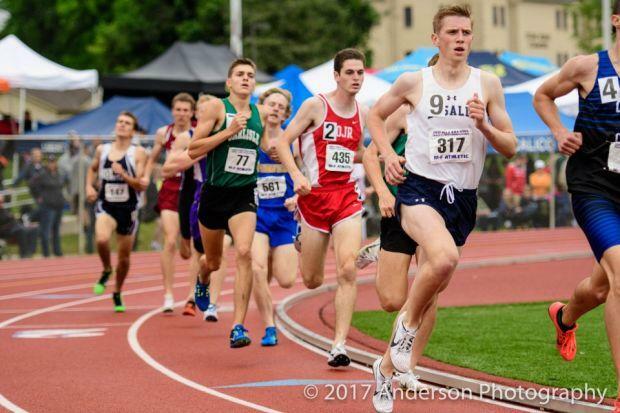 Plenty of talent is back in the boys' 1,600 meters in what should be another wild year in both PIAA classifications. Let's start with AA, where Winchester Thurston's Tristan Forsythe will look to close out his terrific career with back-to-back titles in the 1,600. 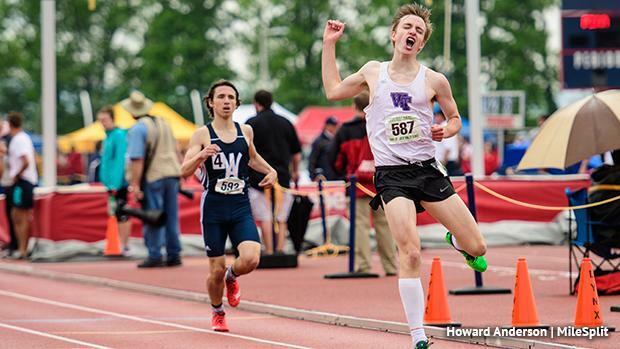 He clocked a 4:12.46 to win the title last season, outlasting Joe Cullen of Wyomissing Area for the win. Both boys are back and coming off solid spring seasons. Look for both boys to plan their seasons around this rematch and it should be a good one. We also can't forget about Tyler Leeser of Milton Area. After injury got in the way of his XC season in the fall, the senior will have plenty of motivation heading into the spring. He ran 4:16.53 to take fourth at states in AA. He'll be a factor for sure. Juniata's Garrett Baublitz was sixth and is the only other returning medalist in what should be an exciting AA battle this season. The race for the top spot in AAA -- much like the chaotic and memorable finish at states last year -- will be a good one. On one hand, we have Josh Hoey of Bishop Shanahan. He opted to go after the 800 meters at states last year (and won!). He ran a 4:13.89 at the Florida Relays last year, and during the indoor season, he ran 4:07 for a full mile to win at the Millrose Games. If he goes after it, the event is likely his for the taking, but that will be a big question. If Hoey's not there, the door is open for a number of boys to take the top spot. Isaac Kole of Carlisle was a surprise state champ in the event last year. Could we see another wild finish? Liam Conway of Owen J. Roberts was third last year, running 4:13.00. He followed that up with an indoor state crown in the mile, going 4:15.26. He certainly has the kick to contend for the win. Conway's the only returning medalist, but Wallenpaupack's Tyler Wirth (fourth at indoor states), LaSalle's Evan Addison (third at indoor states), and West Chester Henderson's Spencer Smucker are the other returning finalists from last year in AAA. Look for all three to be in the mix for high finishes and possibly the win. Butler's Noah Beveridge was second at indoor states. While he went after the 3,200 meters last year, he could still be a 1,600 factor this season. Cameron Binda of Greensburg Salem and Aiden Tomov of Haverford were indoor state medalists in the mile and will hope to translate that into outdoor AAA medals. Neshaminy's Rusty Kujdych, Quakertown's Hudson Delisle, and Abington Heights' Kyle Burke are among the other returners to watch for this season to drop quick times. In the PAISAA, a number of talented boys are back. Elias Lindgren of Episcopal Academy was second at PAISAAs last year. He was eighth at indoor states and will shoot for the win this spring. But his best competition will come from breakthrough Will Merhige of Haverford School. He was sixth at indoor states in 4:22. Germantown Friends' Colin Riley and Malvern Prep's Peter Borger should also be factors.